How do I manage this newfangled thing?!? Fortunately for you, WordPress is actually user-friendly take on the once daunting process of building a website. The first step to adding new or modifying your existing material is getting logged in. So let’s get started – it’s going to be quick and easy. Open your web browser of choice (for example, Mozilla Firefox, Safari, Opera, Chrome or even -gasp- Internet Explorer). Your administrative login panel lives at a web address, or URL, and this is how we’re going to reach it. Your web browser icon probably looks like one of these. Type your admin login address into your browser’s address bar, then hit enter. If your website is purely WordPress-based (as opposed to a traditional HTML website that ALSO has a blog on it), your admin login address lives at http://www.yourwebaddress.com/wp-admin . Type your Username and Password into their respective fields and hit ‘Login’. If you did not build your WordPress site on your own, your web professional or helpful nephew Skip should have provided you with this. Right smack-dab in the center you should see this. Lo and behold! You’ve made it! 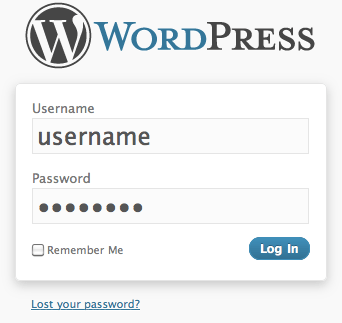 The very next screen you will see, provided that you entered the correct login credentials, will be the standard WordPress Dashboard. Your Dashboard should look a lot like this with minor variables. Click on image to see full size. and many more tasks from simple to advanced. The sky is the limit! 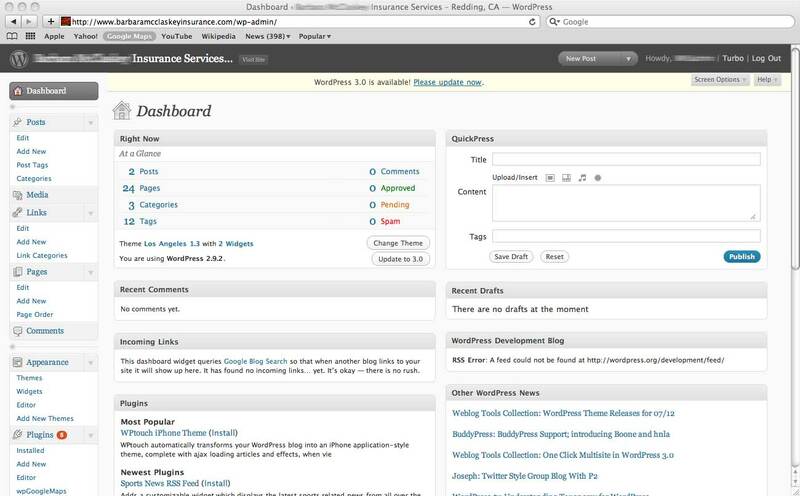 So now you’ve made into your WordPress Administrative Dashboard. For tutorials on how to accomplish specific tasks while logged in, check the WordPress Development page under Blog & Tutorials for more how-tos.